I'm turning 25 in two weeks. Yes... My birthday is coming soon. And you know what they say when you turn 25 - you need to start using a good anti-aging moisturizer to keep your skin from aging! With that being said, does it mean that 25 is the age when you can truly call yourself an official adult? I remember back in highschool, I used to have this fear of growing old. I can't imagine myself having saggy and wrinkled skin which led to, ultimately, wishing I'd die before that comes! But as time passes by, I have realized that there's nothing really bad about growing old. It's actually a fun experience and transition as long as you know how to take care of yourself well, not just when that transition shows up in your life, but even when you're still young. For this makeup look, I have decided to go for a subtle pink-ish effect on my eyes and cheeks and going back to that black brows! Wicked! First, I used the Rimmel Stay Matte Clarifying Matte Foundation in Soft Beige as my foundation by squeezing some of the product at the back of my hand and then applied it on my face by dots and blended it well. 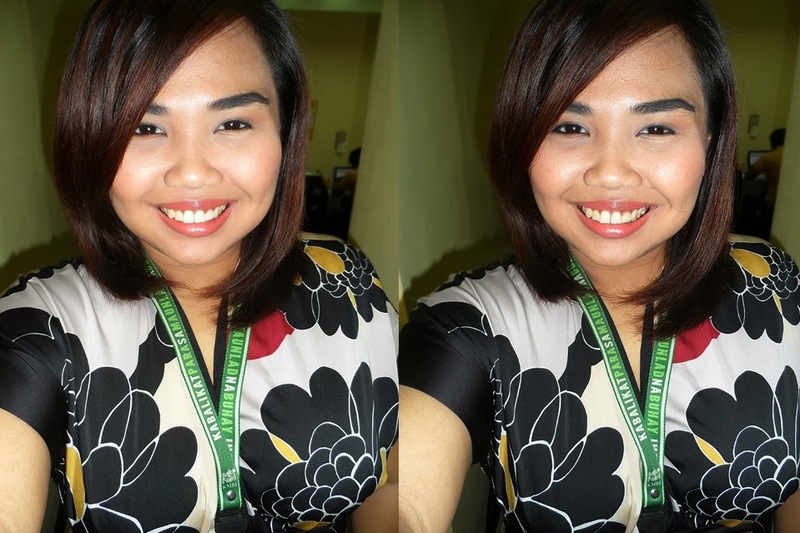 I tried to keep it a bit lighter than my usual foundation routine to maintain that fresh and natural look, still. 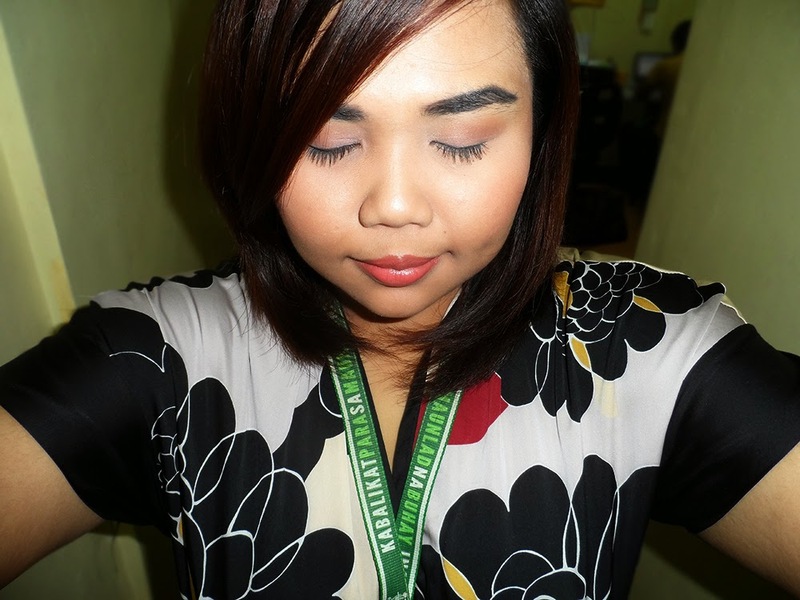 Then, I sealed the foundation using my SanSan Pressed Powder in shade 01. 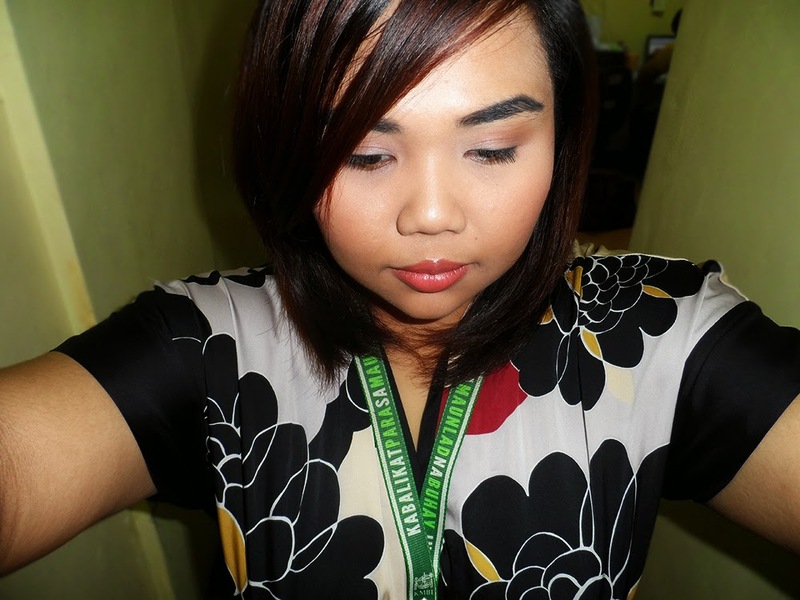 For my eyes, I used the SanSan Kohl Eyeliner in Black to fill my brows. I'm going back to black brows for this look because black brow are supposed to make you look younger; hence the kind of look I'm trying to sport here. Then, I used the Blingtone Eyeshadow in Pink Champagne all over my lids, which is a shimmery pink eyeshadow, and then the SanSan CYO Eyeshadow in Warm Copper Fire for my crease area. Then, I curled my lashes and used the Clinique High Impact Mascara in Black on them. For the finishing touches, I used the SanSan Cheek Blusher in Rosy Blush on my cheeks and the Crazy Rumors Lip Balm in Peppermint Twist on my lips topped by the NYX Round Lipstick in Heredes. Time passes by so fast. There would be times when we think and feel like it's quite hard to catch up. Live life by the moment and do what makes you happy. As for me, I guess I'm happy right now. Things may not be perfect in my life but I am happy with the choices I've made and lessons I have learned along the way. You live, you love, and you learn... That's just how it goes. Advanced Happy Birthday!!! You look so pretty <3 I love the way you did your makeup. You are so young! There is nothing wrong with growing old, as long as you are growing old with grace! Happy Birthday! 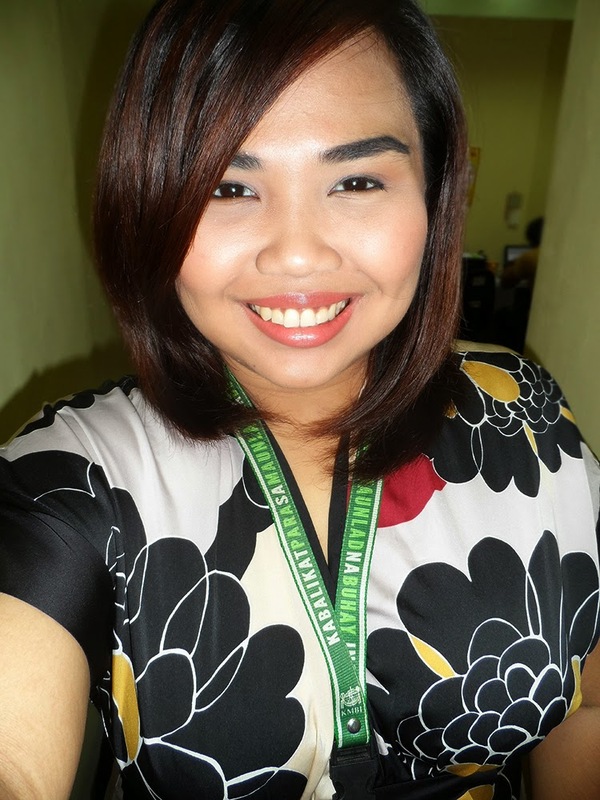 Love the shade of your lipstick, really really gorgeous! Looks good on your skin tone, too! You look awesome! I love what you did with your make-up. Plus, you don't look 25 <3 Advance Happy Birthday!